This book is quite possibly the best book my son owns. 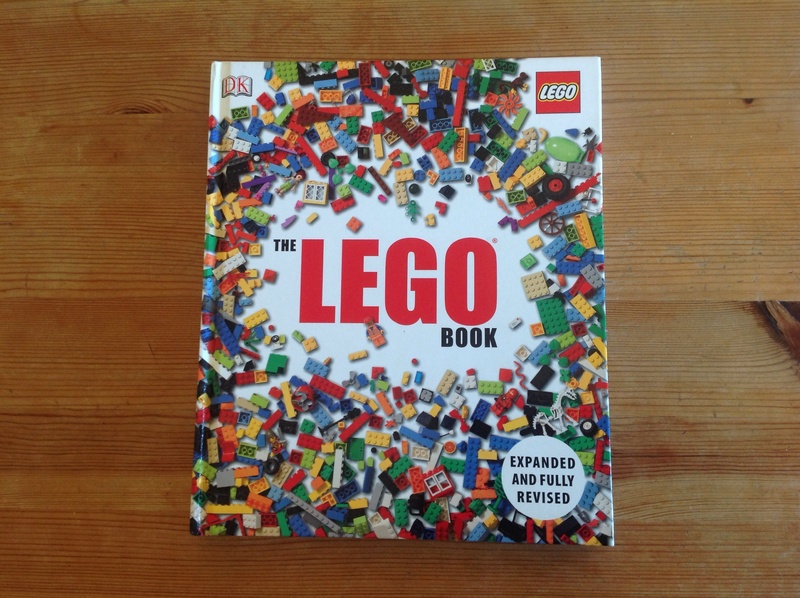 Published by DK (well known for their reference books) and written by Daniel Lipkowitz, it is a romp through the history of the LEGO* group. There is, understandably, a particular focus on the LEGO brick and the seemingly endless creations that have emerged from it. Why it is so good: My son can keep busy for an extraordinary amount of time with this book. There is a huge amount of visual content, from the early wooden animals and vehicles through to all the LEGO sets that across the years have featured almost any natural or architectural feature going. My son will pore over it, normally looking for windmills, but enjoying the tractors, pirate ships, spiders, helicopters and castles on the way. I suppose there is a story, in that the tale of the company’s growth emerges, but it is not one that we’ve tried to particularly explain to my toddler just yet. The snippets of history, the insight into the mechanics of the company (and the builds) alongside the vast number of interesting LEGO objects pictured mean that a grown up can be just as happy whiling away the time with it as a two year old. Any negatives? YES. Pg 150 – 153 ‘Especially for Girls’. This post wasn’t supposed to be about gender politics in toys, but seriously LEGO? Don’t fob me off with your corporate excuses about ‘there’s no rule that says LEGO construction is just for boys’…if there’s no rule that says this, why even say it? Why make a distinction? In creating these sets you are saying there is a rule, albeit unspoken. And you are also making a new rule that says boys can’t play with the ‘especially for girls sets’. You are playing on divisions to make money. One of the things I really enjoy about the book is the nostalgia I feel about the sets I used to play with. My parents didn’t need them to be pink to buy them for me. There are far more subtle ways of engaging with gender differences to attract girls than to add sparkles and pink to everything. If I started to opine about all the different sets featured I would be here all day, so I get it… ‘Especially for Girls’ sets are part of their history and that’s what this book is about. What next? : Well for my son, this is certainly a book that will grow with him. I can completely imagine him studying it under his duvet with a novelty torch when he’s, I don’t know 8, and supposed to be asleep! And for us it’s a lesson in breaking out of the normal choices for children/toddlers. If your child is anything like mine, they will find wonder in all sorts of things and have no concept that one book is marketed towards them and another isn’t. Reference books with (for this age anyway) lots of pictures can be incredibly rewarding choices, although I’d advocate picking a theme that will enthuse…I think I’ll leave my The Pregnant Body book until he’s a tiny bit older. Would I recommend it? : YES. Absolutely. It’s a way of engaging with so many different aspects of the world using pictures of toys. A win win for the parent and the two year old! It is heavy, and long so perhaps not one to sneak into your handbag for a nappy change distraction, but it is a great little number to have at home. * I don’t know exactly why I’m shouting LEGO throughout this post but they shout it in the book so either I’m brainwashed or it’s their ‘trademark’. This book sounds pretty awesome! We absolutely LOVE logo here too. I think chris and jet both hanker after the same thing for Christmas this year, so I may have to bite the bullet and buy them their jointly owned millennium Falcon. It is very unfortunate, all this lego friends pink crap though. Having pink sparkly lego is not a bad idea as it stands, but stating that it is for girls seems unnecessarily exclusive and atypically non-progressive to me. Yes, well I say my son owns this book but actually it was a christmas present from a family member to my husband a few years ago! Definitely a shared love. Thanks Alice. And yes I agree…the pink in itself, fine (and I would love some sparkly lego) but don’t market it like we’re all wallies. Or what you said. We sell this at work and I must confess to have a look through it now and then. I also don’t agree with the “girl” lego. Stupid idea. It is great and nice if you don’t want to get building just reading. Enjoy your lego journey!